Compared with the Yamaha Shew model this Marcinkiewicz version is very different. It has a brighter flugel-sound, to cut through a large ensemble. Projection is excellent and the round rim is most comfortable. A good match to have with the Marcinkiewicz trumpet models. 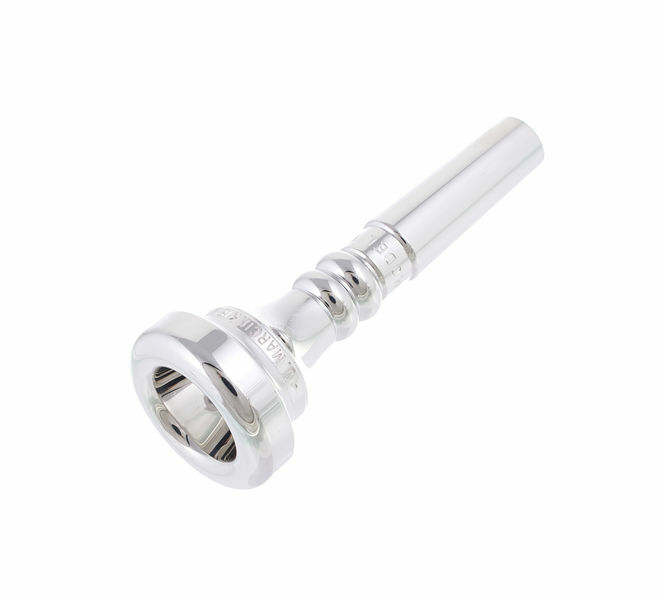 A top-quality mouthpiece with great expressive power; my favourite for the Flugelhorn. I also use it with the Posthorn. The mouthpiece is very responsive and will speak with a whole range of voices, from growling and grunting to haunting and distant, dignified and singing, velvety and beautiful, sharp and alarming, screaming and squealing. Beautifully smooth silvering and comfortable rim. ID: 187963 © 1996–2019 Thomann GmbH Thomann loves you, because you rock!